We have user friendly UI and amazing layout for android and iOS app. Our app is now compatible on all softswitches like freeswitch and asterisk to bring the user experience on next level. The features make it reach and specially calling card support to be more productive, reliable and result oriented in terms of voice and clarity with G729 support. The compatibility of our app is on any devise with all latest version of iOS and android. 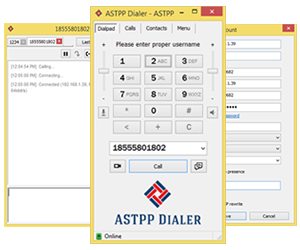 Looking for custom Mobile Dialer?